This Orange Ginger Shrimp Stir-Fry is the perfect weeknight meal; it’s quick and flavorful, plus packed with vibrant vegetables and nutrient-dense shrimp. 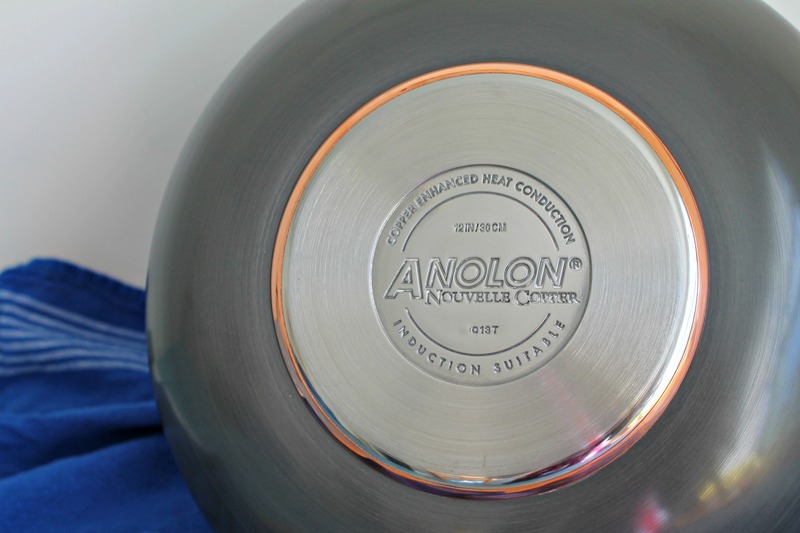 Thanks to Anolon, we’re sharing recipes focused on: “Out with the Old, In with the New with Anolon Cookware”. Out with the boring weeknight dinners and in with this stir-fry! One of the quickest and most delicious meals you can make this week is a simple stir-fry! They’re packed with fresh vegetables, spices, and protein, which make them a healthy and colorful choice to serve your family. The key to a great stir-fry to to prep ahead. 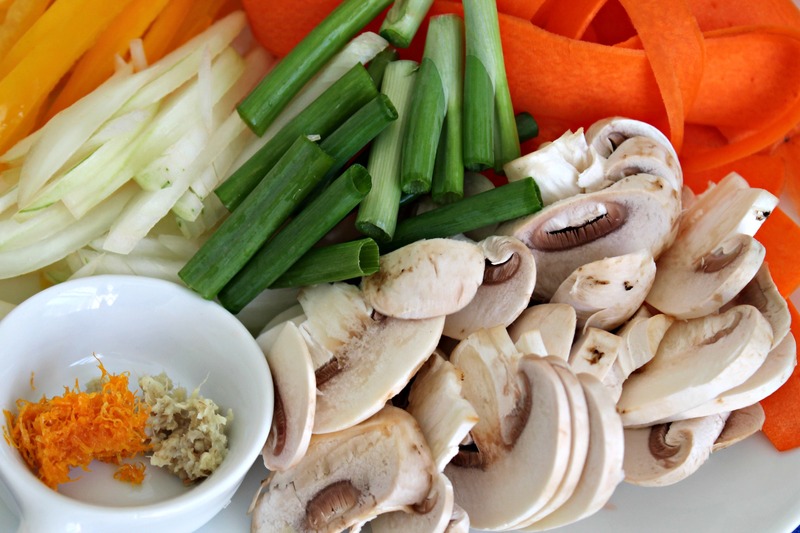 Thinly slice all your vegetables and marinate your protein even before you start heating up your stir-fry pan. Such a gorgeous pan and it made the cooking of vegetables such a quick process! The key to a good stir-fry means that it shouldn’t take more than 10-15 minutes to cook. You’ll want to thinly slice your vegetables and proteins, to make sure they cook in a short amount of time. One of my favorite ways to incorporate carrots is by using a vegetable peeler to peel ribbons of fresh carrots. Not only does it look gorgeous, but they cook in about two minutes, tops! Flavorful and packed with fresh vegetables, this stir-fry should be on your table every week! Heat your oil over medium high heat. Add the shrimp, orange juice, and ginger. 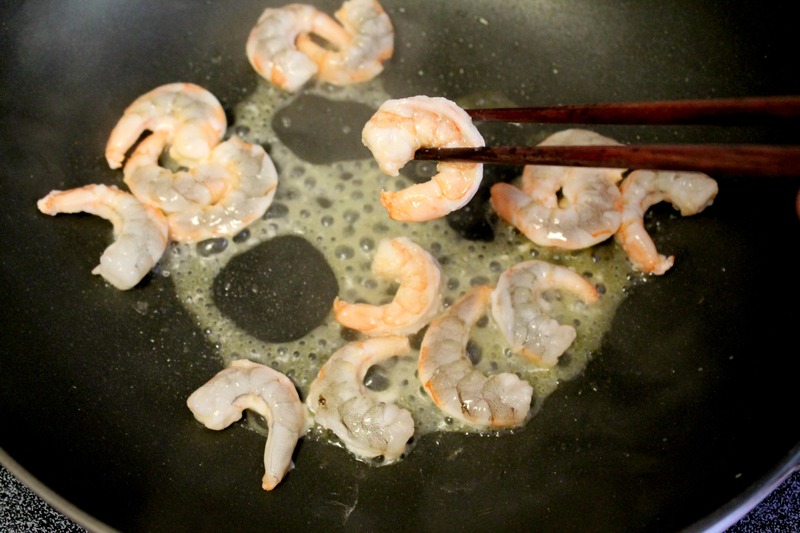 Cook for 3 minutes (or until shrimp turns pink) and remove from pan. Add onions, carrots, peppers, scallions, mushrooms, and garlic. Cook for 5 minutes until soften but still "al dente". Drizzle soy sauce and add shrimp. Toss quickly and serve over rice noodles or jasmine rice. Top with sesame seeds. Disclaimer: This post and giveaway is sponsored by Anolon, who sent us pieces of their product line to test and cook with. Thank you for supporting brands like Anolon that allow me to share more and more recipes such as this one with you! Was the winner of the Anolon giveaway announced? Yummers…Gotta try this dish. Love those under 15 minute meals. Any more you could post? The pots and skillets look AMAZING! Anolon certainly is great. Loving the one I have. I plan on cooking seafood alfredo, stir fried, pork chops, and just about anything you can think of. I love cooking and trying new things from time to time. Would love to have these new pots and pans in my kitchen! I would make a feast for sure! That recipe above looks so pretty and delicious. You always have such amazing food. Would love to make new recepes to my husband on these! Yum. Bet it makes the house smell good too. Any idea for what to sub for the soy sauce, as that I cannot eat? Spaetzle, with guyere and bacon…. Yummers!!! or Parmesan coated pork chops…. Breakfast ~ Lunch ~ Supper ~ Dinner ~ Snacks ~ Brunch! Seriously, I’ve never had decent cookware even though I love to cook. These would make a difference in the final dish, whatever it might be. This time of year, I’d love to have that nice big pot for soups and stock. I need a bigger and better pan in which to make risotto. So, that’s what I would make. Anything and everything – my damaged pans really need to be replaced. It would be so nice to not have warped pans that the lids don’t fit on! 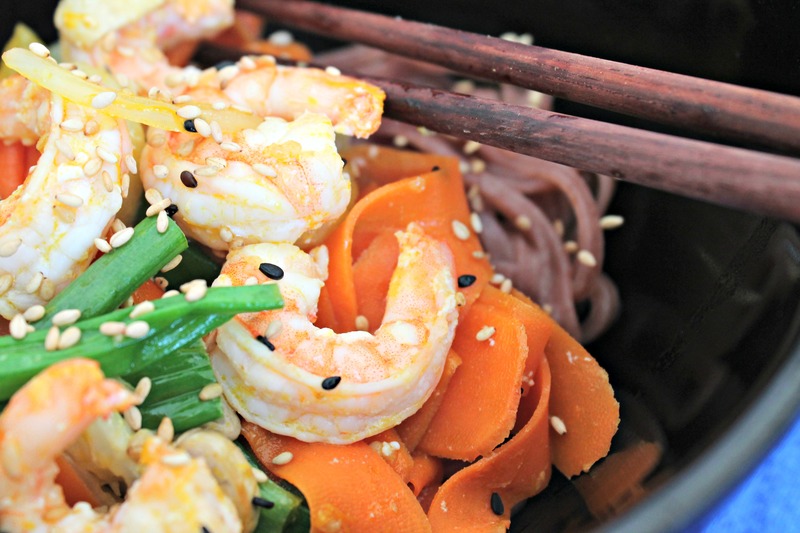 I’d love to try the Orange Ginger Shrimp Stir-Fry! I would love to make *anything* in these gorgeous pans — caramelized onions for French onion soup, seared pork chops, stir-fry — the list goes on. I told some friends yesterday that orange was going to be my go to flavor for 2014. Last year it was lemon. Can’t wait to try the recipe. That is an awesome set of cookware, that I would love to have. ooh this recipe looks soo good! I want to try it asap! This recipe looks sooo yummy! I Think I might be doing it pretty soon!! I’d use those daily! Tonight it’s posole, tomorrow meatballs. Stir fry is my favorite. I would make up some incredible meal – or maybe share some of the pots with my niece who is just starting out. Mmmmmm….I love a good stir-fry!! Orange and ginger are the perfect combo! I love shrimp, oranges, and ginger! What a great combination! I’ve copied this recipe for my meal planning. Thank you. I’d make everything! Chicken, pasta, etc! OH my gosh, my husband would flip over this. I need to try it out on him. The spicy sweet chicken stir fry looks good! As does your orange ginger shrimp! You are right, this should be on my table each week! I love the combination of orange and ginger! I’m not a shrimp fan but this is such a gorgeous stir-fry! Love the carrot ribbons. This stir fry is GORGEOUS Nelly! Pinned and I can’t wait to try it. Stir fry is my weeknight meal BFF.